Google said Friday that it will offer new Chromebook buyers a free terabyte of Google Drive storage for two years, which at present rates would be worth almost $240. On the surface, there’s really nothing more to it, other than the offer's expiration on Jan. 1, 2015. The 1TB deal also matches that of Microsoft, which is bundling one year of Office 365 Personal on laptops like the $199 HP Stream 11. Office 365 Personal originally shipped with—you guessed it—1TB of free OneDrive storage, though the company recently sweetened that deal even further. What this means to you: With freebies like Office 365 subscriptions and additional cloud storage, Microsoft and Google have been providing subsidies of a sort to their hardware partners. The ultimate goal, of course, is to lock in customers to a particular ecosystem. Google has traditionally offered freebies with new Chromebooks, including a 1TB Drive bundle that shipped with the Chromebook Pixel, good for three years. In 2013, when Google launched the Pixel, 1TB of Drive storage was $50 per month. Even though the Pixel costs close to $1,500, the Drive freebie represented a sweet, $1,800 bundle on top of the lovely hardware. 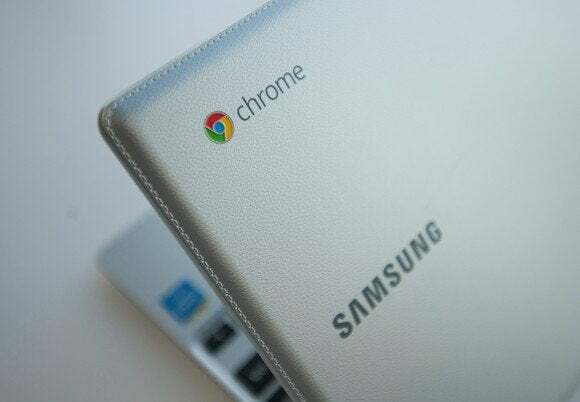 New Chromebooks that qualify for the current 1TB Drive offer cost as little as $199, Google said. In both cases, Microsoft and Google ask you to re-up at the end of the subscription period. If your existing storage exceeds the capacity under your new subscription, they don’t erase your existing files—you just aren’t able to add new files until your storage falls below your new limit. Still, Microsoft and Google are running out of room to compete. Microsoft recently eliminated all OneDrive storage limits for OneDrive customers, a trick Google had previously pulled with both Drive for Work and later for universities. It's likely the two competitors will continue to push cloud storage even more aggressively, lowering the paid threshold for unlimited storage and offering more and more online storage to users who hold nothing more than a Microsoft or Google username. While this may end up bloodying the noses of two of technology’s giants, consumers clearly benefit. Limited cloud storage is quickly becoming a thing of the past, with companies apparently willing to throw gobs of it at new customers to get them hooked.